The readers may notice that the serial nos. 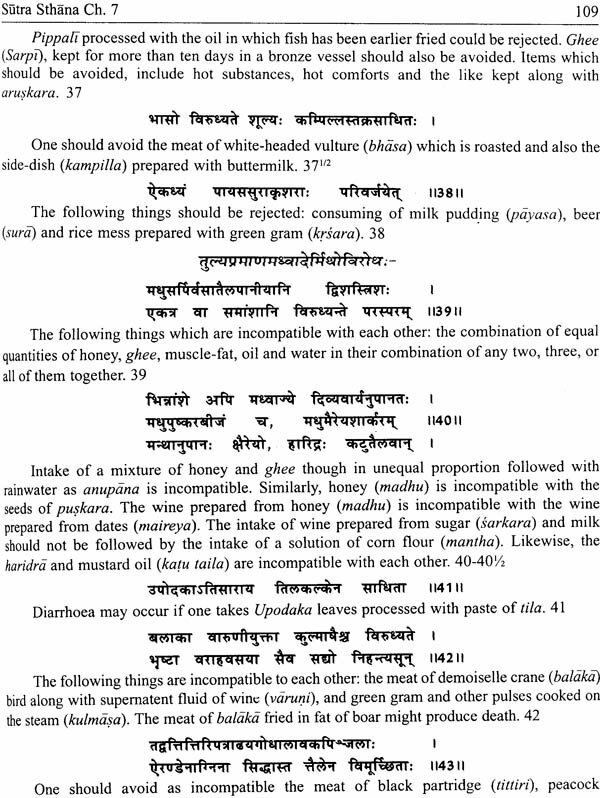 of the various Slokas in the Astanga Hrdaya's various manuscripts available have been paralleled by a different serial no. the involved passages are the interpolations made by various commentators of the text. These interpolations have been included in the present edition. The problem of proof work of the text has been compounded by a multiplicity of readings of the work. We have tried our best to address this issue and are confident that even if it is not ultimate this edition of the first section of Astanga Hrdaya would be appreciated by the scholars. 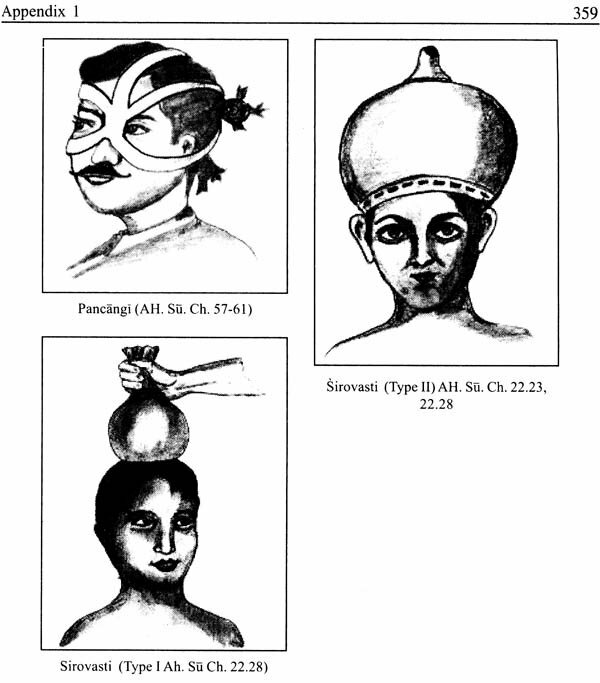 The Astanga Hrdaya is representative of that current of scientific ideas in ancient India that appreciated the traditions and at the same time tried to project newer ideas. The first section of this text, namely the Sutra Sthana forms the basics of the work. This section as well as the other parts of work have not only carried the ideas of Caraka and Susruta but have also sought acceptance of certain modifications on them. The readers would appreciate this and many other marvels of its author Vagbhata as the text is unfolded. The present edition has been a result of a long-stretched labour. I have tried to consult all the available readings of this text. The pioneer work edited by Harishastry Pradakar with inclusion of Hemadri's Commentary has been particularly helpful. In this task, the support of A. Archana, S. Shekar and Ashok has been remarkable. Also is remembered the committed work of Ch. Guddu (who continued to work on the computer files of its draft). Involvement of Shri Ritesh and Jitesh Gupta of Chaukhambha is also remembered, with gratitude. Astanga Hrdaya,' literally 'the core of the Octopartrite Sciences, i.e. Ayurveda', is one of the most significant texts on the subject. As repeatedly stressed upon by its author, this work consists of the core of the teachings and preaching contained in the texts of ancient Ayurvedic theorists including Agnives, Atreya, Harita, Bhela, Caraka and Susruta. The originality of the Astanga Hrdaya is in its crisp and to the point presentation of the theme. It has as many as 120 chapters distributed through six sections. In all, these chapter contain approximately 8,000 verses. The exact counting of the verses or passages therein could not be tendered because the different texts of the work available today vary in this matter. The work in course of time rose to a great significance and as such a number of commentators laid their hands upon it. As a matter of fact, in terms of commentaries, the Astanga Hrdaya is richer even than the Caraka Text and Susruta Text. Within 100 year of its appearance, this treatise appeared to have caught the notice and attention of the practitioners and theorists of Ayurveda across India, and beyond. Earliest commentators of the text include such famous scholar as Candra, Indu, Arunadatta and Bhatta Narahari. Across boarder, the Astanga Hrdaya was translated into Tibetan under the name "Rgud Bzi" during 755-797 AD. The work was also translated into Arabic and published with the name 'Astankar' during the reign of Khalifa Harun-al-Rashid (773-808 AD). The international popularity of the work is also evident by the fact that a Persian physician who authored Firdaus-al-hikma in 850 AD called Astanga Hridya as one of the major works on medicine. Obviously, there are a number of interpolations to the original writing of the author of Astanga Hrdaya. These passages are, at times easily identifiable as they are independently numbered and they stand out of the numerical serial used in the original manuscript. 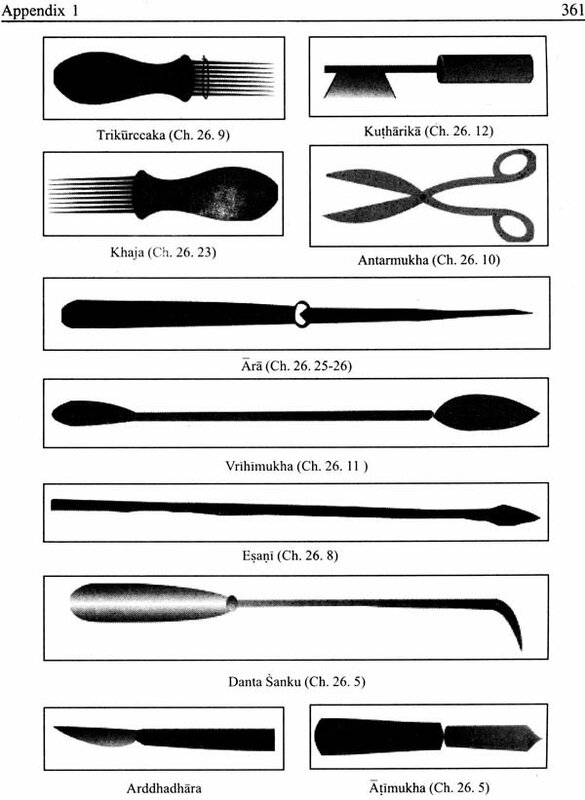 The first print of the work was brought under supervision of Dr. Anna Moresvara Kunte, MD, of Bombay in the year 1880 and 1892 as many as ten editions of the Astanga Hrdaya were published across India. 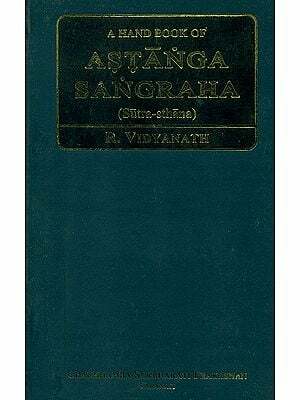 In vernacular language, the work was first published in Sanskrit and Bangla in 1886 by Vijayratna Sen Gupta who added the commentary of Arundatta to the publication. In the year 1889, a Gujarati translation was published by Behichar lal Nathuram, Ahmedabad. The first Hindi translation of the text was brought by Pandit Robi Dutta, Bombay in the year 1890. The next year, a Marathi translation was published by Ganesh Krishna Garde, Poona. 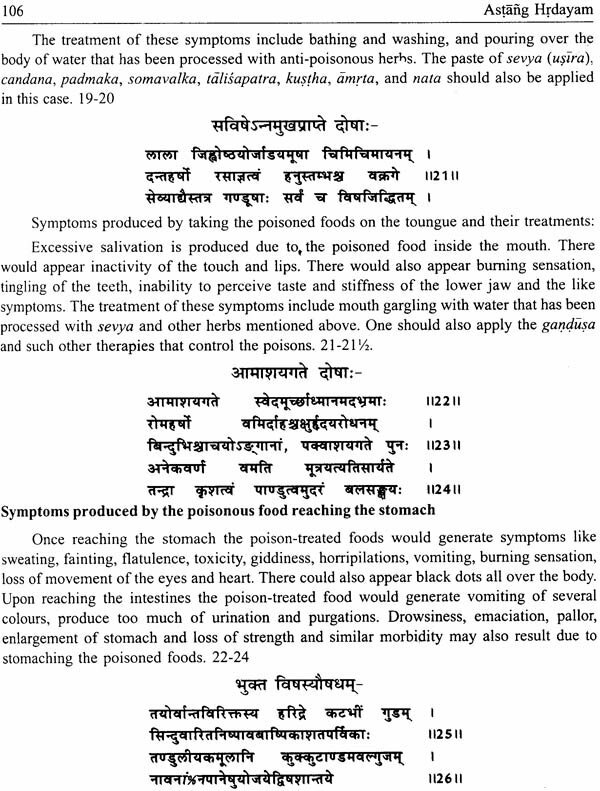 However, as the authorship in question related to a technical theme (Ayurveda), it is not very significant to debate the details of the authorship of Astanga Sangraha and the Astanga Hrdaya. It matters little if a single individual authored both of these texts or two different authors composed them. There are instances as well when a single author has revised and improved his writing during later part of his life. Kalidasa, the great poet himself transformed his style between phases of writing the Ritu Samhara and the Raghuvamsam. Thus it is not theme of import to debate if the Astanga Hrdaya is an improved version of Vagbhata's earlier write-up or it is based on a text authored by his grand father, who bore an identical name. 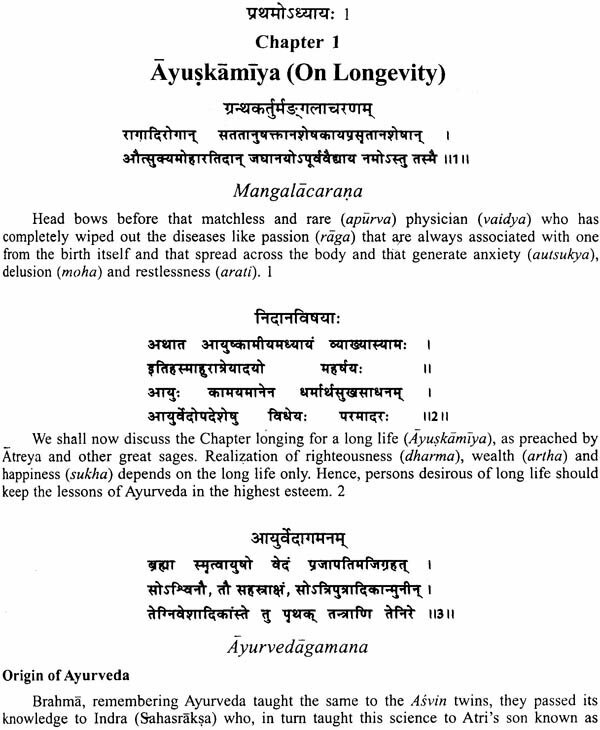 More significant is observe that the Astanga Hrdaya manifest an improved and developed treatment of Ayurveda while the Astanga Sangraha has an archaic style containing both prose passages and poetry, its vocabulary is easier to grasp. 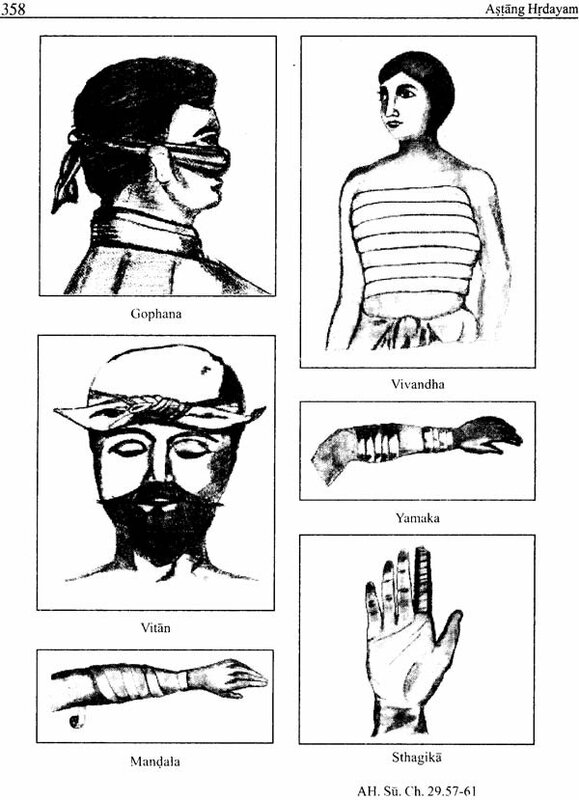 The former text furnishes great details of various religious practices, social customs and beliefs. The Astanga Hrdaya has maintained brevity in this matter. The later text has incorporated, without alterations, a number of passages from the former, hence, it is evident that Astanga Hrdaya was authored on a later date. 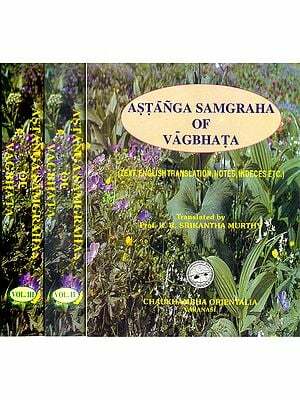 It furnishes all information found in Astanga Samgraha in an abridged manner minus description of religious rites and procedures. Methods of treatment and medicinal formulas have been presented in a way as could be easily adopted by the practicing physician as a routine. With these merits, this text gained greater popularity than Astanga Samgraha not only in India but also in neighbouring countries. 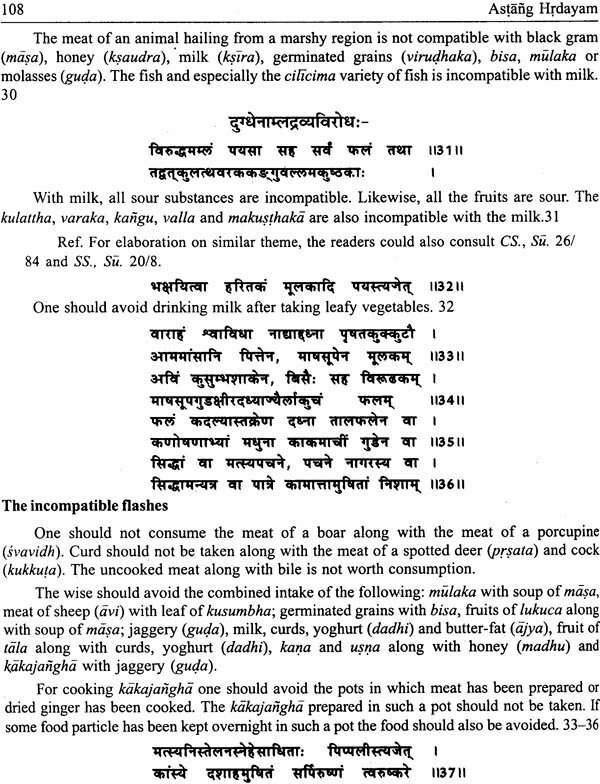 It has the largest number of commentaries in Sanskrit than any other Ayurveda text. 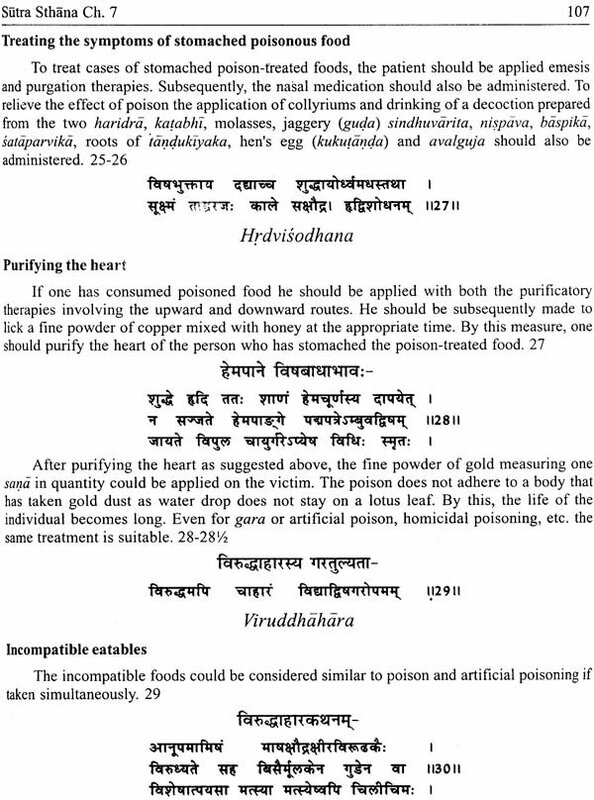 In any case, the Vagbhata of Astanga Hrdaya worked upon a similar text at his disposal. 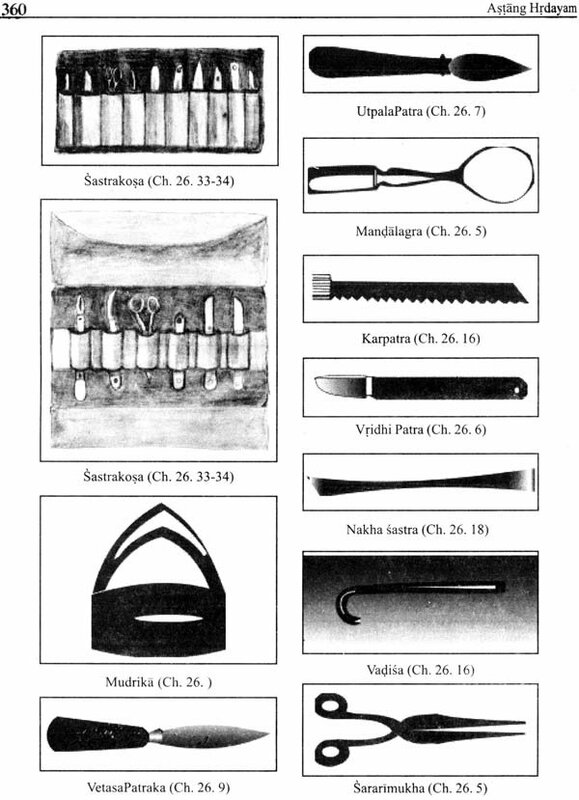 His labour yielded considerable success and the work gradually earned huge reputation and popularity among practitioners and theorists of Ayurveda. 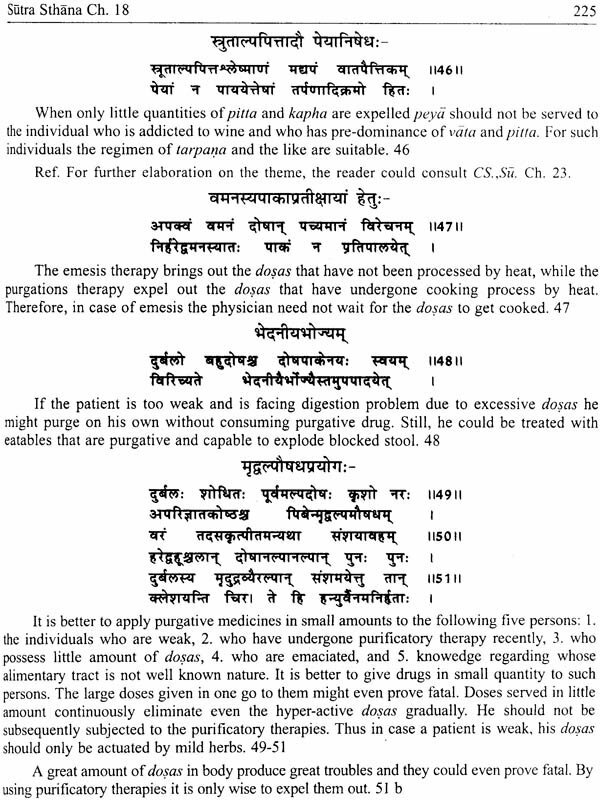 It has been justifingly included among the Great Triad (Brihat Trayi) of the Ayurveda, thus ranking to the texts of Caraka as well as Susruta. As regards the date of the text Astanga Hrdaya it may be noted that the cultural and social reflections of the Astanga Hrdaya, its translations into Tibetan and Arabic languages are all in agreement to the truism that Vagbhata and Astanga Hrdaya, were famously known in the 8th century AD, it not earlier. Permitting a gap of 100 years between the existence of the author and his widespread popularity, it is deemed fit to conclude his date around 7th century AD. 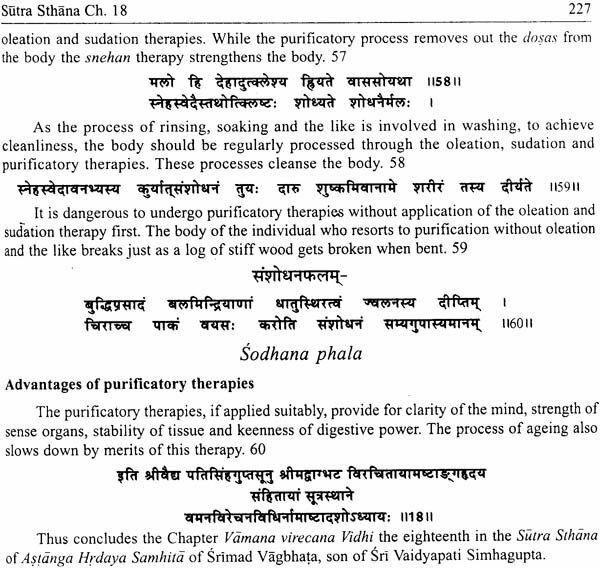 Admitting its unmatched treatment of the classical Ayurveda, the Govt. of India has recently included the first section of Astanga Hrdaya that is the Sutrasthana into the syllabus of the BAMS course. This section describes the basic doctrines, principles of health, prevention of disease, diet articles, food habits, causes of diseases and methods of treatments. 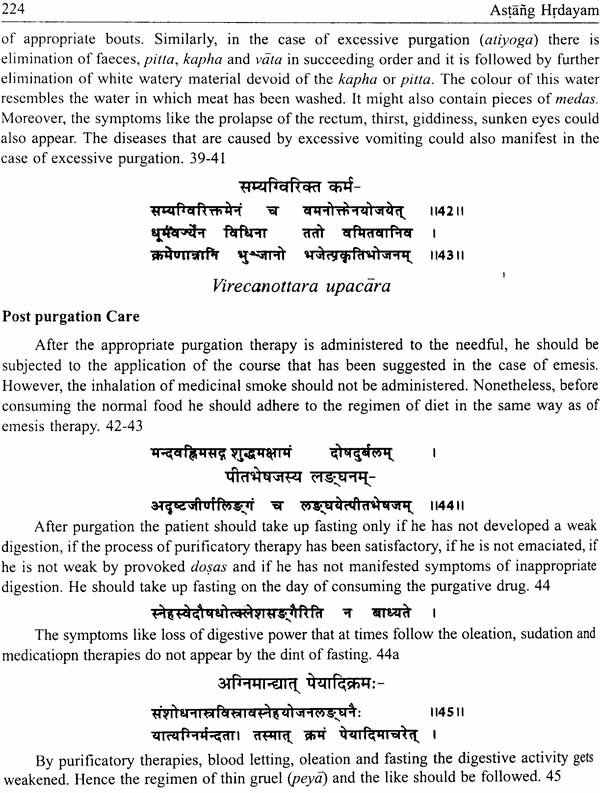 In brief it may be said that the foundational reading of the Ayurveda is available in the Sutrasthana of Astanga Hrdaya.